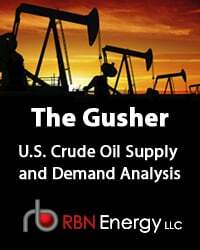 Liquefaction capacity additions will add about 5 Bcf/d of natural gas demand in 2019, with almost all of that happening along the Texas and Louisiana Gulf Coast. 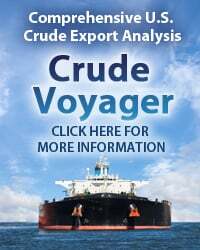 The planned start-up of new liquefaction trains at the Sabine Pass, Corpus Christi, Cameron, Freeport and Elba Island projects means we can expect U.S. LNG export demand to double to nearly 9 Bcf/d by the end of the year. 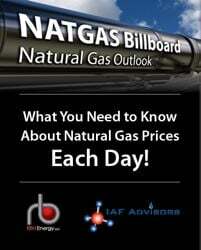 How fast will that new capacity and gas demand come on and how will the gas get to where it needs to be? Today, we take a closer look at the timing of the liquefaction capacity build-out and the related feedgas routes. 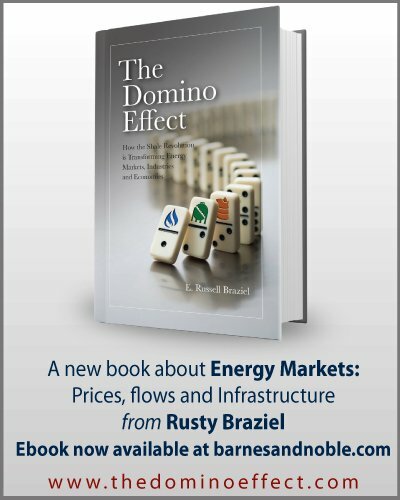 Rusty Braziel said it in our Top 10 RBN Energy Prognostications for 2019 blog a couple of weeks ago, and we’ll say it again here: 2019 will be the biggest year for U.S. LNG exports since they emerged as a demand source for the domestic gas market. It’s also likely to be the biggest growth year for at least another few years, pending final investment decisions (FIDs) for the “second wave” of liquefaction projects (discussed recently in our Coming Up blog series). 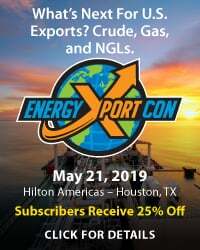 The 2019 LNG export boom got a running start with the commissioning phase for Train 5 at Cheniere Energy’s Sabine Pass Liquefaction (SPL) and Train 1 at Cheniere’s Corpus Christi LNG (CCL) ramping up in late 2018, both ahead of schedule (see Let Me Move You Part 1 and Part 3). 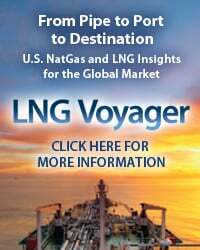 Feedgas flows to Dominion Energy’s Cove Point LNG in Maryland in the last couple of months also began firing on all cylinders for the first time since the export facility came online in early 2018 (see Part 2). Among these three facilities, feedgas flows ended 2018 at an average 4.4 Bcf/d in December, after starting the year at half that, near 2.5 Bcf/d. 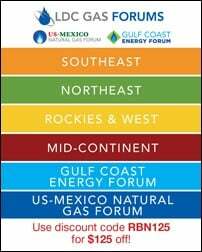 To access the remainder of Let Me Move You, Part 4 - How LNG Exports Will Change Gulf Coast Natural Gas Markets in 2019 you must be logged as a RBN Backstage Pass™ subscriber.